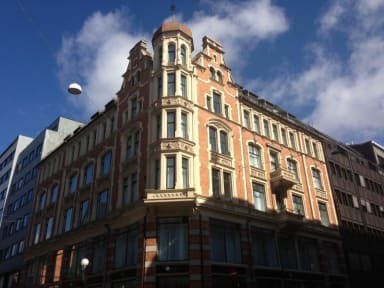 We welcome you to Saga Poshtel Oslo Central. An entirely new concept, and the one and only of its kind throughout Norway, where you can expect a trendy, chic, vibrant and homely atmosphere throughout… Newly renovated, with state of the art facilities and its modern hip décor, Saga Poshtel Oslo Central is the perfect hub for backpackers, families, and just about everyone who is looking to relax and feel at home. 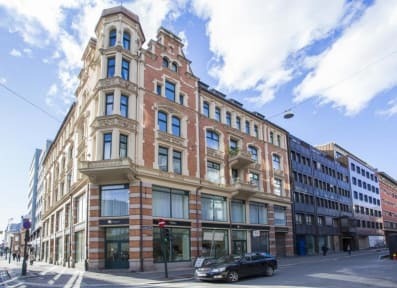 Being centrally located, in the heart of Oslo’s city centre, gives us the cutting edge on accessibility when choosing the right place to stay. From here you have access to all forms of public transport, which are just a few minutes’ walk away in either direction. Landmark sites such as Oslo’s Opera House and Akershus Fortress are just around the corner, and almost visible from our front door. Aside from easily accessible public transport and historic landmarks sites, you also have unlimited access to shopping, restaurants, bars and nightlife. All of which are in close proximity. We offer an array of facilities, all of which are at your disposal. From the open planned lobby and reception area, to our cosy and artistic living area. All of which give you peace of mind and tranquillity, but also the chance to meet like-minded-worldly-travelled folk throughout. Downstairs, you will find our dining area and breakfast hall, which boasts an impressive breakfast buffet served daily to all our guests. You will also find our living area which includes sofa’s, a TV, and a bookshelf filled with a variety of books. A communal kitchen is also at your disposal, containing all the utensils needed for cooking, and is accessible 24/7. A wide variety of dormitory style rooms are available, ranging from our cosy Poshtel Double Rooms, to our larger 12 person rooms. All of which give you the possibility of choosing your own comfort level. Simply take a look at your room types and rates for more information.